Northampton-based sound artist and 2016 BJ Goodwin Award recipient Jake Meginsky performed throughout Europe this past month as a featured soloist at the Click Festival in Denmark as well as in a residency at the EMS Elektronmusikstudion in Stockholm, Sweden. In April, the Northampton Arts Council awarded Meginsky $750 to further develop his artistic talents in Europe. The grant allows Meginsky to showcase his work on an international platform and receive recognition from his peers and from the public in one of Northern Europe’s most prestigious festivals of contemporary music. The Electronic Musician, Percussionist and Composer has collaborated and performed with such artists and choreographers as Milford Graves, Cori Olinghouse, Alvin Lucier, Kim Gordon, Paul Matteson, Jen Nugent, Vic Rawlings, Joe McPhee, Susan Sgorbati, Katie Martin, Thurston Moore, Bill Nace, and John Truscinski. He has a longstanding artistic relationship with coreographer Gwen Welliver, and recently composed the score for her new work, “What a Horse”. Welliver and Meginsky will debut a new work at the Ginbney, NYC in 2017. 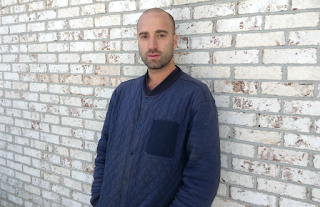 Music critic David Keenan called Meginsky’s 2014 solo record, L’appel Du Vide, “a hallucinatory electro percussion masterpiece” and in the WIRE Magazine review of the album, Nick Cain wrote, “the album uses little more than a couple of sounds, extracting often head spinning complexity from a minimum of means.” His newest solo release, Seven Psychotropic Sinewave Palindromes, was listed in FACT Magazine’s top 25 albums of 2016. His recordings can be found on NNA (Burlington, VT), Feeding Tube Records (Northampton, MA), Rel Records (Providence, RI), Open Mouth Records (Northampton, MA), Hells Half Halo (Seattle, WA), Wooden Finger Records (Belgium), Ultra Eczema Records (Belgium), and Ecstatic Peace Records (Northampton, MA). He remixed Body/Head’s (Kim Gordon & Bill Nace) “Last Mistress” for Matador Records (NYC).